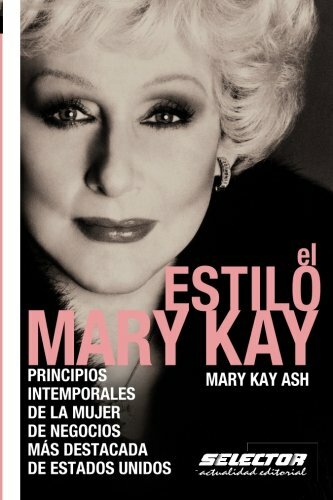 9786074530292, titled "El estilo Mary Kay / The Mary Kay Way: Principios intemporales de la mujer de negocios mas destacada de Estados Unidos / Timeless Principles from America's Greatest Woman Entrepreneur" | Italian edition edition (Selector S.A. De C.V., July 15, 2009), cover price $22.95 | About this edition: El estilo Mary Kay "Una de las lÃ­deres de negocios mÃ¡s inspiradoras, Mary Kay siempre comprendiÃ³ la importancia de las personas y el valor que le brindan a una organizaciÃ³n" - J. The Mary Kay Way: Timeless Principles from America's Greatest Woman Entrepreneur is back in print and updated to reflect developments in todayâs business environment for the modern entrepreneur. You will find inspiration and real, proven success principles that represents the forty-five year old success story of Mary Kay Ash, founder Mary Kay, Inc., the cosmetics company that provides women with unlimited opportunities for success. A foreword by Mary Kayâs grandson, also a company executive, introduces her timeless guide to entrepreneurial success. 9781602835597 | Blackstone Audio Inc, January 13, 2009, cover price $29.95 | About this edition: The Mary Kay Way: Timeless Principles from America's Greatest Woman Entrepreneur is back in print and updated to reflect developments in todayâs business environment for the modern entrepreneur. 9789707701366 | Alamah, July 30, 2005, cover price $9.95 | About this edition: Born in rural Texas at the end of WWI, Mary Kay spent her childhood caring for her sick father while her mother supported the family. 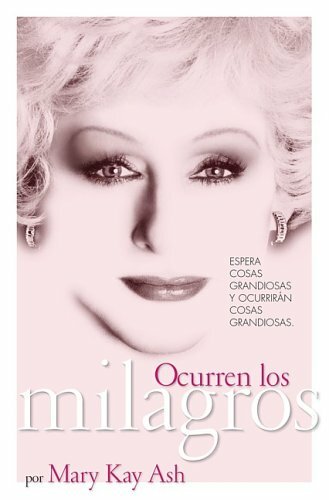 9780060574611 | Harpercollins, September 1, 2003, cover price $12.95 | About this edition: Mary Kay Ash, one of America's most dynamic businesswomen, lived her life with simple and timeless principles. 9780613920339 | Turtleback Books, September 30, 2003, cover price $24.50 | About this edition: Mary Kay Ash, one of America's most dynamic businesswomen, lived her life with simple and timeless principles. 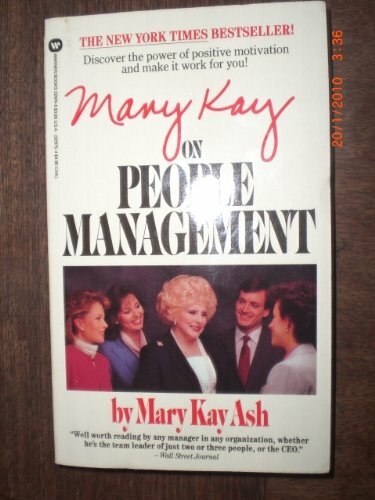 9780788152948 | Diane Pub Co, June 1, 1995, cover price $23.00 | About this edition: Mary Kay may be the most successful woman entrepreneur in the world today, but she started her company as a single mother supporting three childrenâusing her total life savings of $5,000. 9780761503422 | Prima Pub, October 1, 1998, cover price $16.95 | About this edition: Mary Kay may be the most successful woman entrepreneur in the world today, but she started her company as a single mother supporting three childrenâusing her total life savings of $5,000. 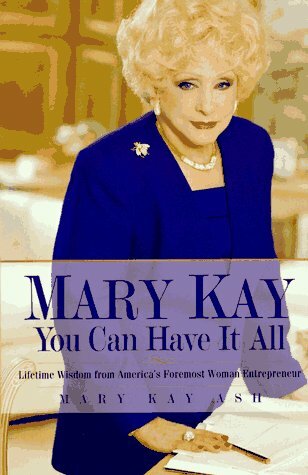 9780761506478, titled "Mary Kay You Can Have It All: Lifetime Wisdom from America's Foremost Woman Entrepreneur" | Prima Pub, September 1, 1996, cover price $13.00 | About this edition: Mary Kay may be the most successful woman entrepreneur in the world today, but she started her company as a single mother supporting three childrenâusing her total life savings of $5,000. 9780761504856, titled "Mary Kay: You Can Have It All: Lifetime Wisdom from America's Foremost Woman Entrepreneur" | Crown Pub, January 3, 1996, cover price $16.95 | About this edition: Mary Kay may be the most successful woman entrepreneur in the world today, but she started her company as a single mother supporting three childrenâusing her total life savings of $5,000.